The RSF-backed driver had looked odds on for a decent points haul to compensate in part for his non-finish in the day's earlier race, when he was punted into retirement with 15 laps to go. The incident was triggered by points-leader Charles Leclerc who had relieved Dennis of third with a dive down the inside at Turn 1 which ran the Prema driver out wide. Behind, Santino Ferrucci attempted a similar move on Antonio Giovinazzi resulting in contact which shunted the Italian into the left rear of Dennis's car as he cut back to the racing line. The clash put Ferrucci and Dennis out on the spot - bringing out the third of four safety cars - while Giovinazzi made it back to the pits for a new front wing. 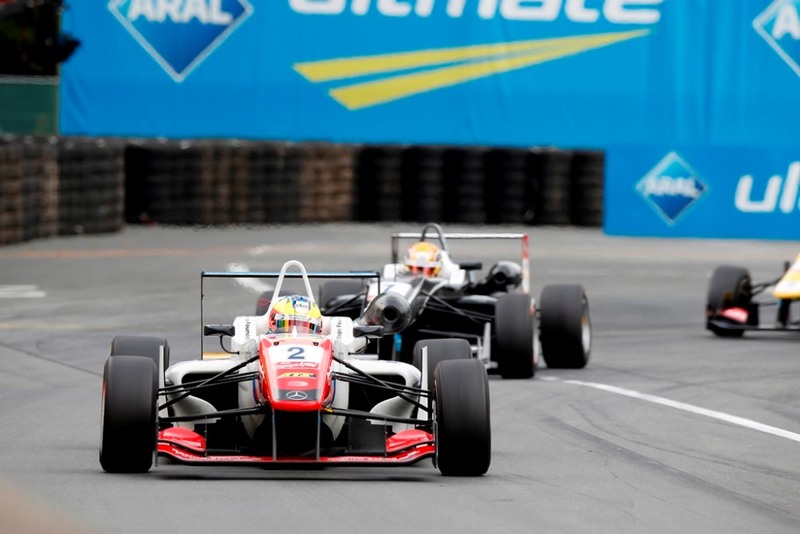 When racing resumed after the fourth and final safety car period, it was Mucke's rookie Maximilian Gunther who emerged victorious ahead of poleman and long-time race leader Alexander Albon and Leclerc. The pair lost out on the chance to claim the win after a late scrap with George Russell which ended up with all three running wide and allowing fourth-placed Gunther through to take over at the front.